Neighbouring Federation Homes in Mount Lawley W.A. This striking Bungalow, has Federation features, but the real Federation Heritage Home is across the street at no 35. This ‘Federation’ Bungalow on Mount Lawley has been sold. 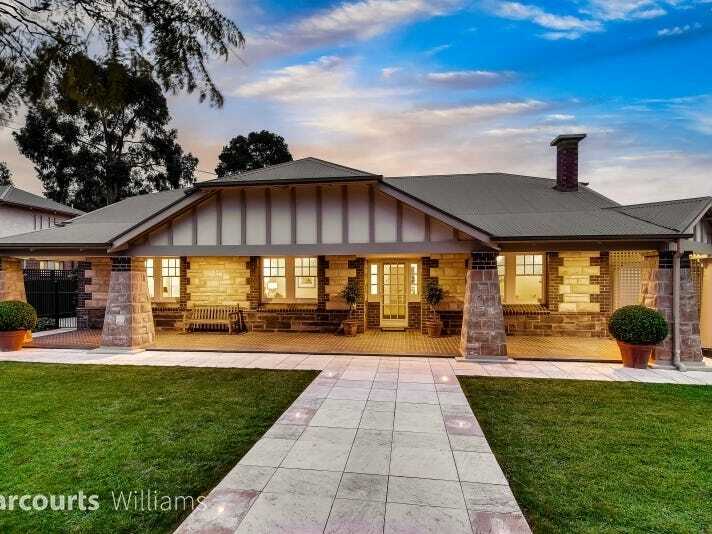 Located at 36 Glenroyd Street, Mt Lawley W.A., Burbanks House has a long driveway and is situated in a prime location. The expansive outdoor living space has views of Mount Lawley with two outdoor areas and heated pool. There is also an expansive informal lounge room with its own ornate fireplace and built-in study-nook, which leads to the wrap-around verandah. Main bedroom features walk-in robe and ensuite along with its own balcony. A further two bedrooms are available at the front of the house as is a guest’s bedroom with separate access and views as well as gas fireplace. A gorgeous “federation” residence exuding Mount Lawley decadence. Let the long driveway draw you into a Gatsby style romance as you swoon over beautiful gardens, ornate finishes, and dreamy luxuries. Tucked away in a highly sought after pocket of Mt Lawley, 36 Glendroyd Street will leave your heart longing for a new life chapter. Burbanks House has gorgeous curb appeal, with an extraordinarily long driveway inviting you inside a wistful four-bedroom two-bathroom residence over two lavish levels. Decadent finishes follow you through every room, from rich red walls, to white french doors, expansive ornate ceilings, stained glass windows, Hamptons-style shutters and beautiful timber floorboards. Reside in the finest of company in one of the best pockets of Mount Lawley, perched at the high point of Glenroyd Street surrounded by spectacular neighbouring homes, close to everything you love. The large 986 sqm block offers expansive outdoor living space capturing that indulgent Mount Lawley lifestyle, with two outdoor entertaining areas and a captivating heated pool (just wait till you see it at night) complete with automatic retractable pool cover, granite pavers, glass fence, and a luxurious solar heated outdoor shower. Relax in your expansive informal lounge room with its own ornate fireplace and built-in study nook, leading onto a versatile wrap-around verandah. Take the staircase from the informal lounge to your own sumptuous parents retreat, featuring a huge walk-in robe, and large en-suite with elegant claw foot bathtub/shower. Gorgeous french doors open out to a romantic private balcony, where you can let the hours drift away. Enjoy pure home harmony, with two well-proportioned bedrooms tucked away from the parents retreat at the front of the home. An expansive guest’s bedroom with separate access and complete with bay window seating and towering mirror above a gas fireplace. This magnificent heritage mansion has nourished Mount Lawley for nearly a century. Lovingly maintained by its current owners, it now blends beautifully preserved period features with abundant modern comforts. Add the location – a leafy, elevated corner block in tranquil Mount Lawley, within easy reach of the CBD – and the result is a unique home for the discerning buyer. Beautifully landscaped formal gardens set off the red brick facade and deep front veranda. Inside, the formal entry sets the tone, with intricate stained glass windows and timber-panelled walls, and leads through to a grand central staircase. A vast formal dining room has soaring ceilings and a working gas fireplace, and leafy views through leadlight windows. The main living room has equally grand proportions, making this a fine home for entertaining. Heritage property in Perth is common in Fremantle with suburbs Mount Lawley, Bassendean, Perth, Guildford, Bicton, Dalkeith and Calremont boasting a choice of Federation style homes that are keenly sought after by renters according to analyst firm Herron Todd White. HTW’s recent heritage market report said entry level heritage property in both Mount Lawley and Fremantle is under $1 million for a basic and neglected dwelling on a smaller allotment, however properties that have undergone a significant restoration can command well above $2 million.